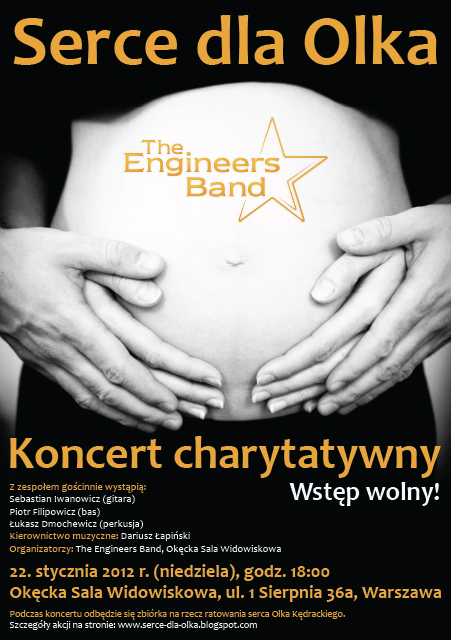 We would like to invite you for a charity concert of the Engineers Band that is going to take place on Sunday, 22nd January at Okęcka Sala Widowiskowa (1. Sierpnia 36A, Warsaw). The event starts at 18:00 and the admission is free. The funds collected during the gig are going to support the heart surgery of Olek Kondracki. You can read more on Olek and his problem here (in Polish).